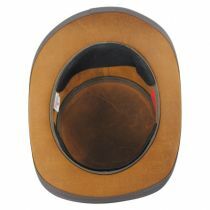 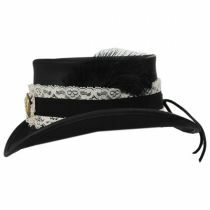 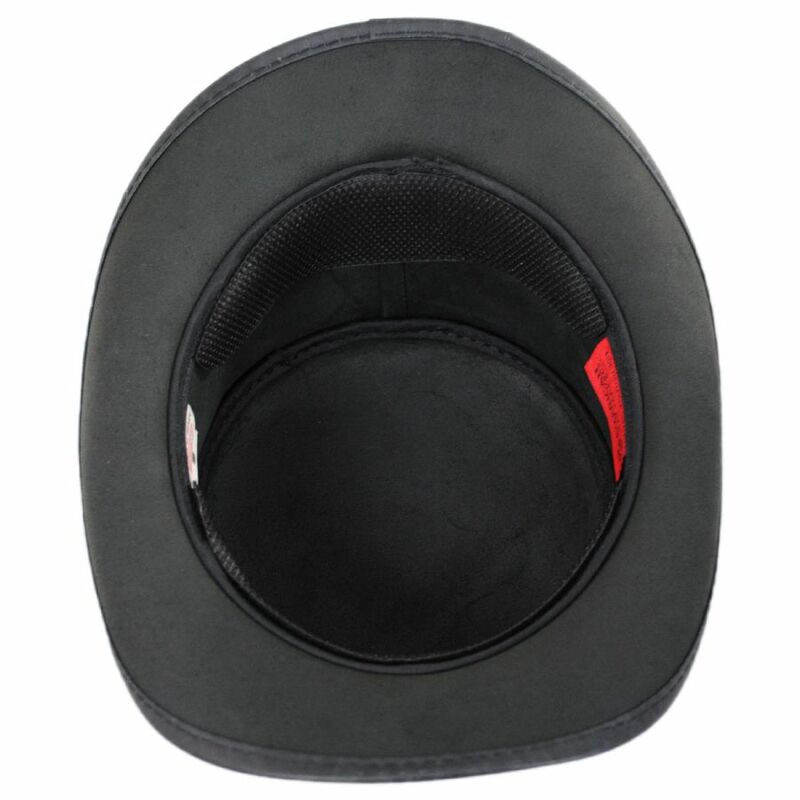 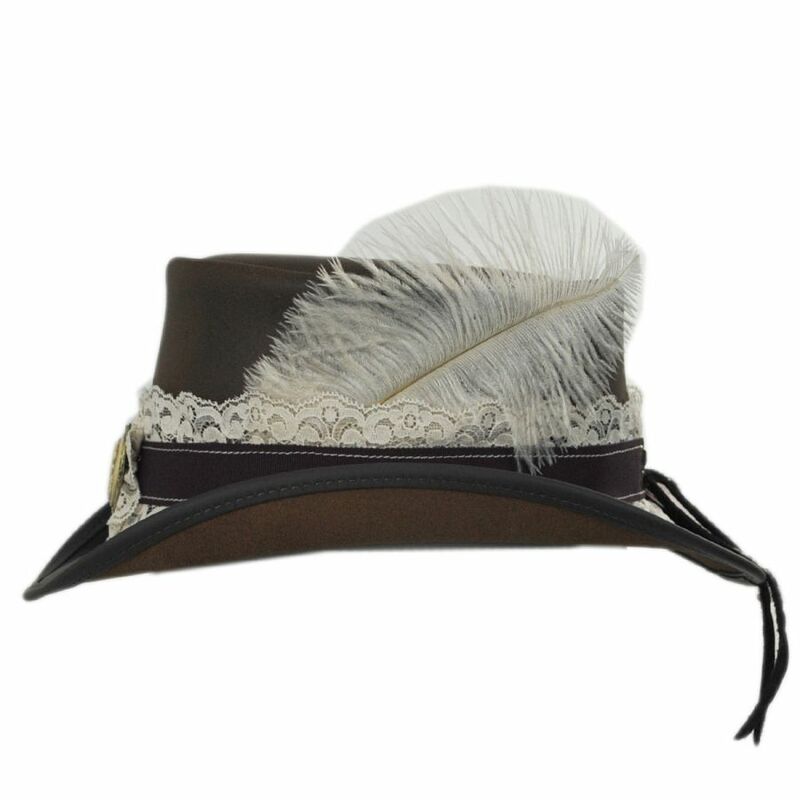 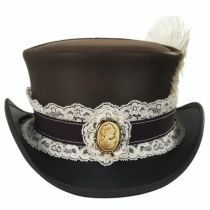 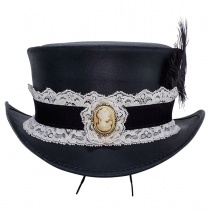 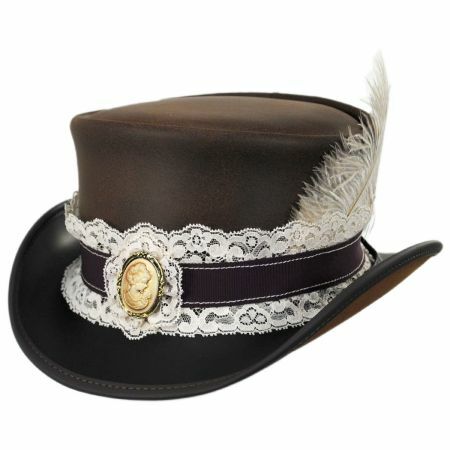 You'll be right and proper in the Burlesque Leather Top Hat from Head 'N Home. This US-made hat features a gorgeous grosgrain ribbon, paired with lace layering, a feather accent, and a removable cameo brooch on the crown. 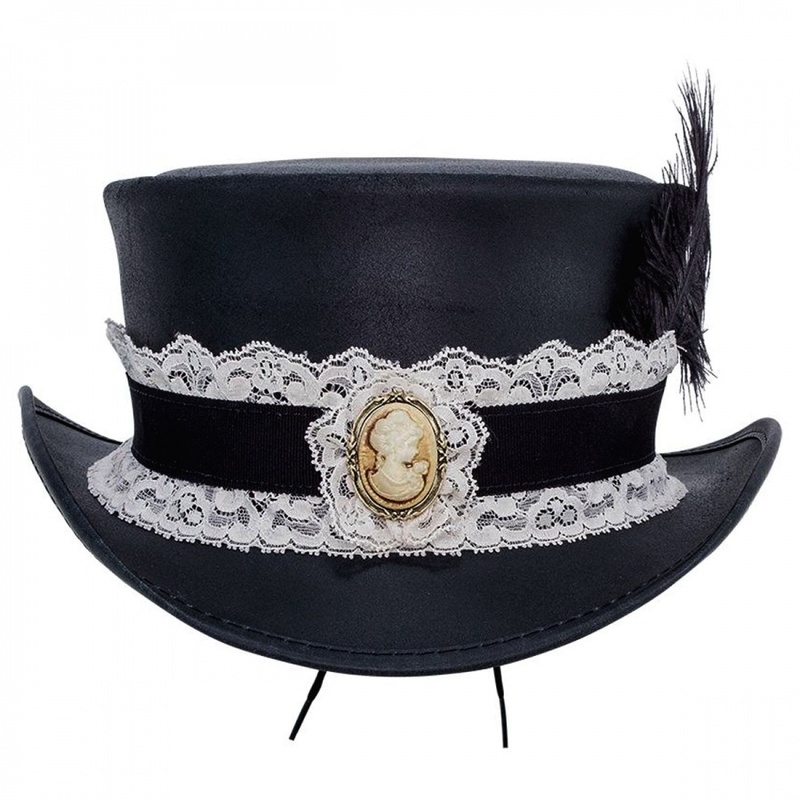 This is truly a top-notch top hat.